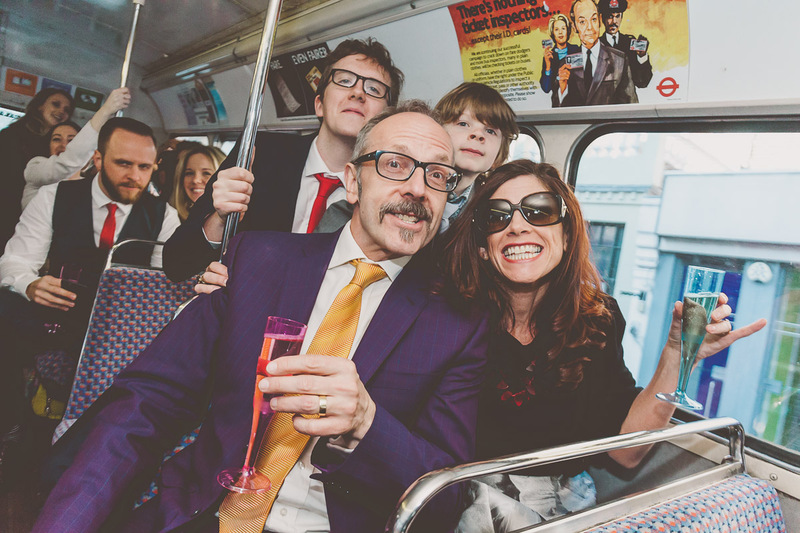 It’s increasingly common for couples to hire a London Routemaster Bus to ferry guests from the wedding to the reception. It’s a great opportunity for fun, candid photographs. Wedding photographers need to use a good wide angle lens that is fast (i.e. a lens that has a wide aperture so that you can take photos in low light) to be able to capture these kind of moments.